Development Promotions have been a long time client of ours. We initially designed their very first website back in 2004, with the 1st redesign in 2008. This is our 2nd redesign we did for them using the Joomla content management system. 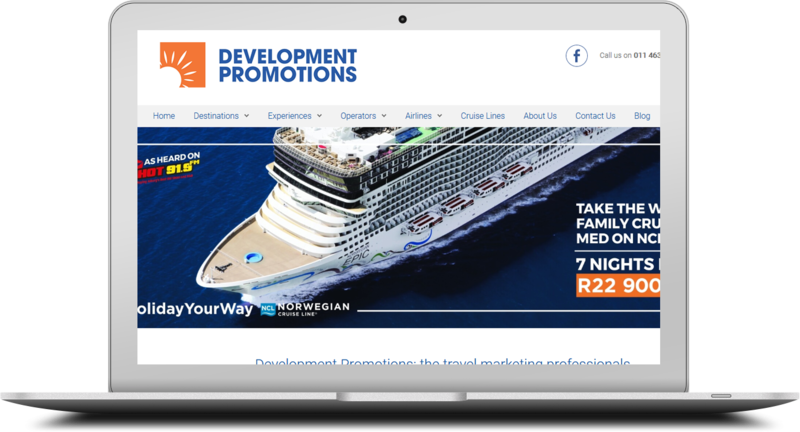 The website boasts an impressive travel packages search system where clients can search for travel deals across the world based on location or tour type.